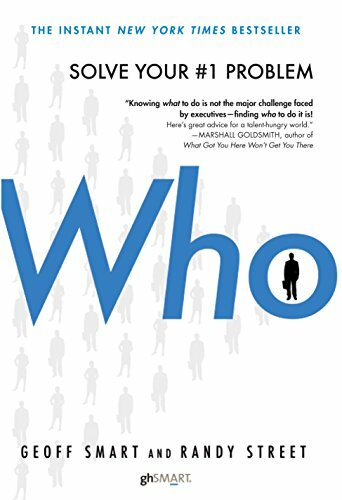 Who by Geoff Smart is the definitive guide to hiring employees. I’ve heard Tim Ferriss recommend this book countless times to anyone in HR or entrepreneurs needing to hire employees and now that I’ve read through it I can see that it’s for good reason. Who is a great step-by-step process for finding and hiring the right employees to fit the needs of the job you are looking to fill. By understanding more deeply the role you are looking to fill, how it fits in to your company culture, and the outcomes expected from the job, you will be able to better narrow in on what are called the A Players who will lead your company to greater success. The book provides detail on each step of the hiring process from identifying your needs to finding the right candidates to hiring and retaining the right employees. If you ever hire employees, it is worth it to get a copy of this book to refer to when you are preparing new job postings and going through the interview and recruitment process.